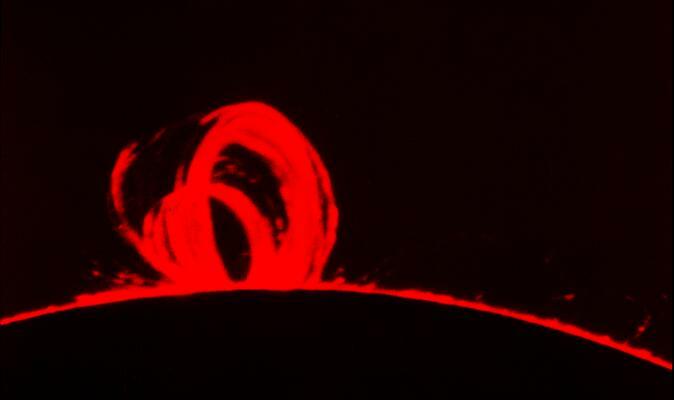 Large prominence seen in extreme UV light (SOHO). 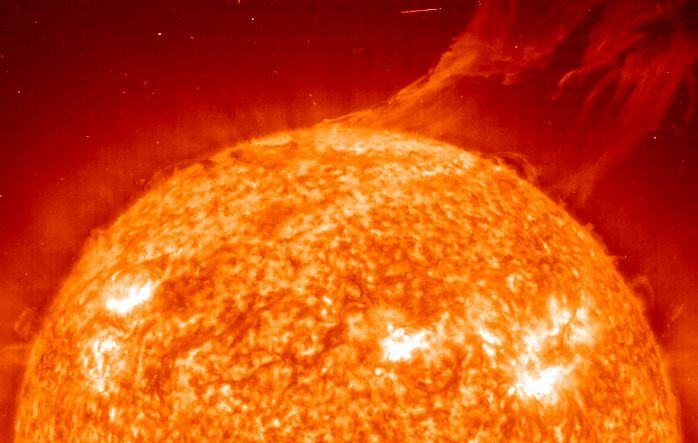 Very large prominence seen by Skylab in 1973. H-alpha filter. 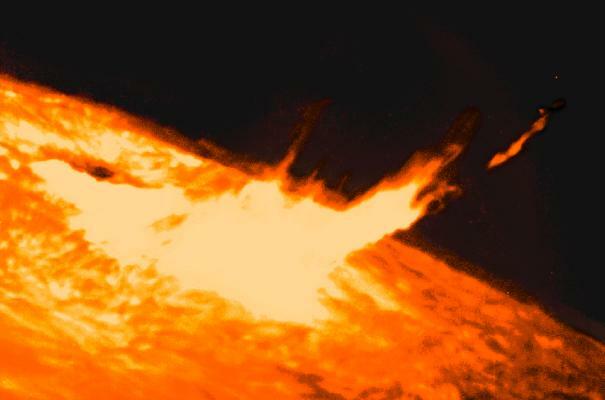 A 9/24/97 solar flare seen in H-alpha (l) and extreme UV (r). 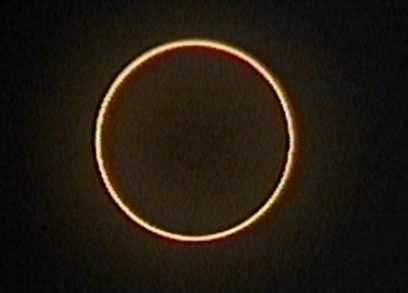 The sun at optical wavelengths. 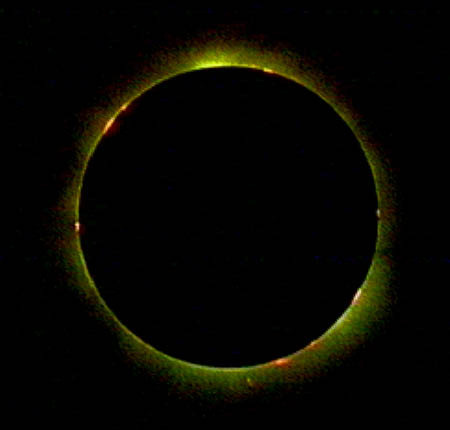 Granulation in the solar photosphere. 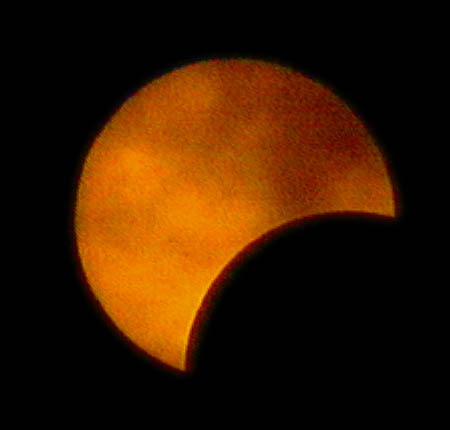 Higher-resolution picture: sunspot plus granulation. 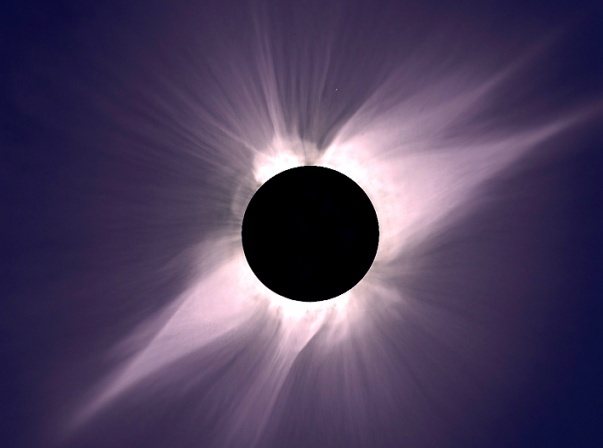 The sun as seen in low-energy X-rays (Yohkho observatory). 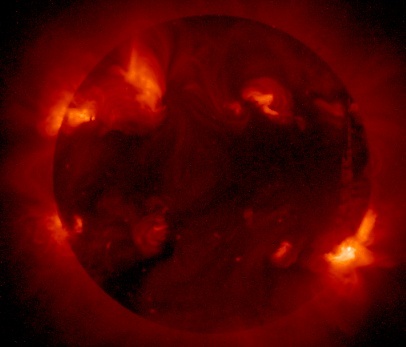 The sun in H-alpha light. 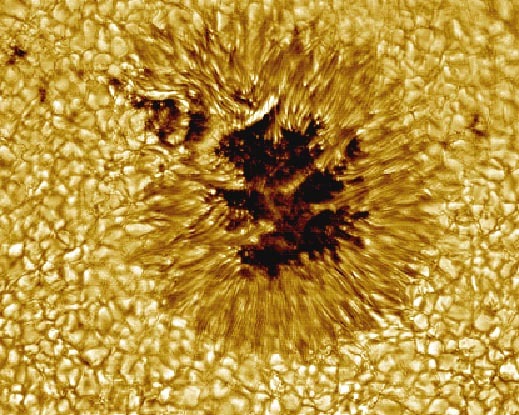 Dark regions are sunspots, light are plages. 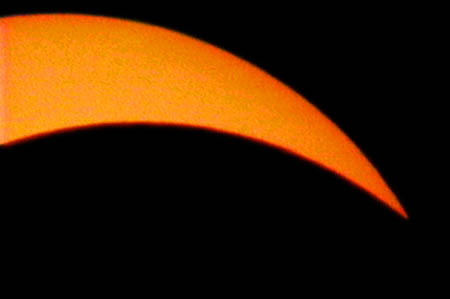 The sun in H-alpha light, seen to rotate. 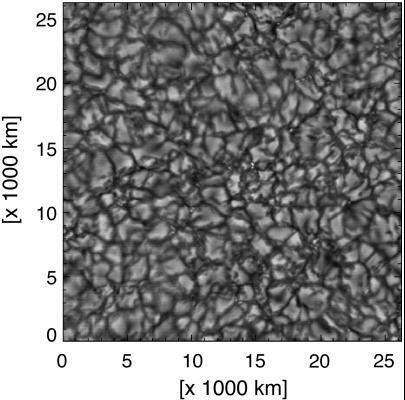 The radiative (core and radiative envelope) and convective portions of the solar interior. 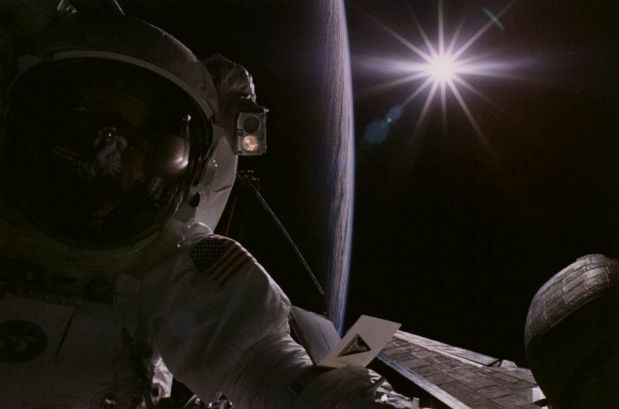 How magnetic field lines get wrapped on the solar surface. The sun in X-rays, showing the appearance of 3 jets of hot, confined plasma. 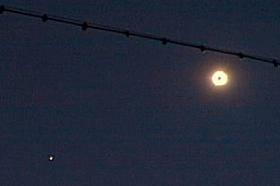 Two comets falling into the sun (sun's disk indicated by white circle) (June 1-2 1998; SOHO). 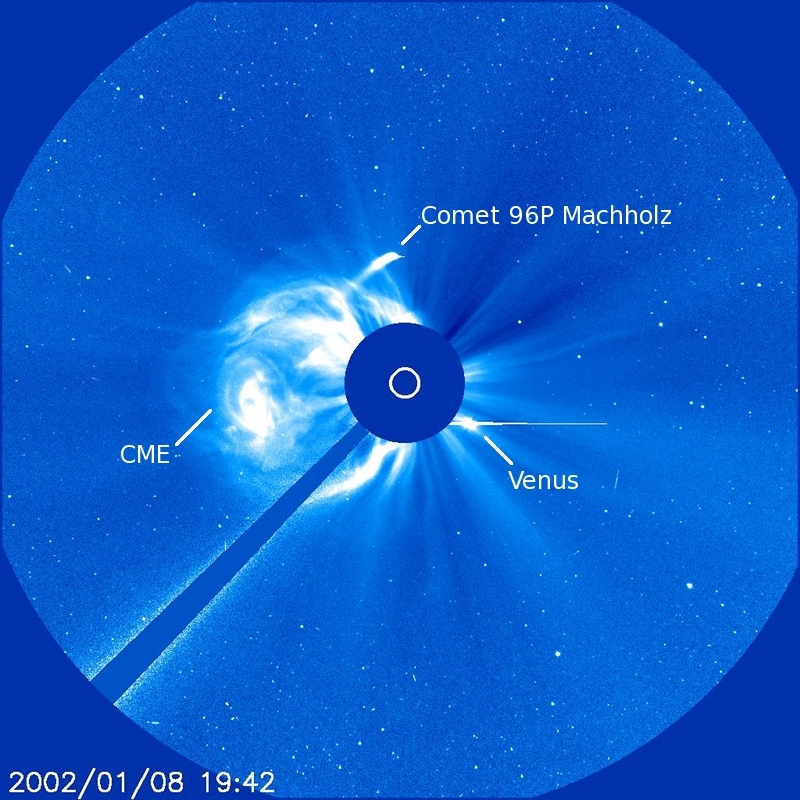 Comet Machholtz, a coronal mass ejection, and Venus (sun's disk indicated by white circle) (8 Jan, 2002; SOHO). 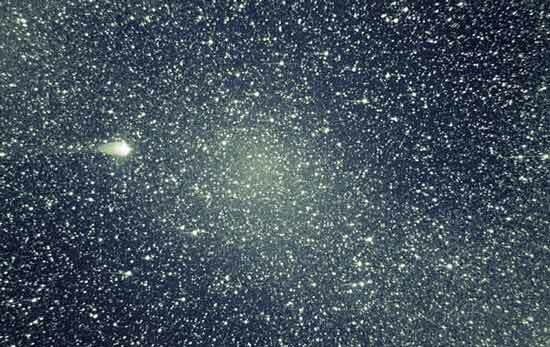 SOHO is at 3000 comets and counting. 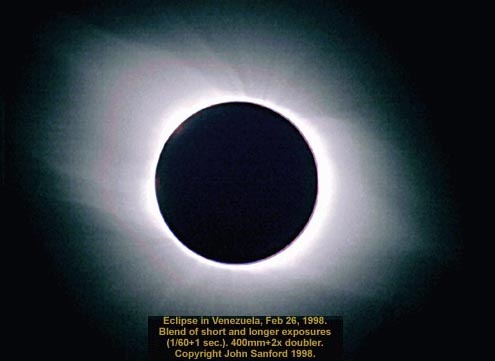 The "lollipop" is the arm and disk of the coronagraph. 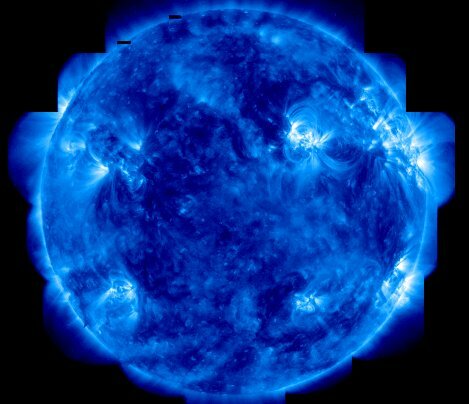 High resolution spectrum of the sun. Illustration of magnetic splitting of spectral lines (Zeeman effect) in the sun. 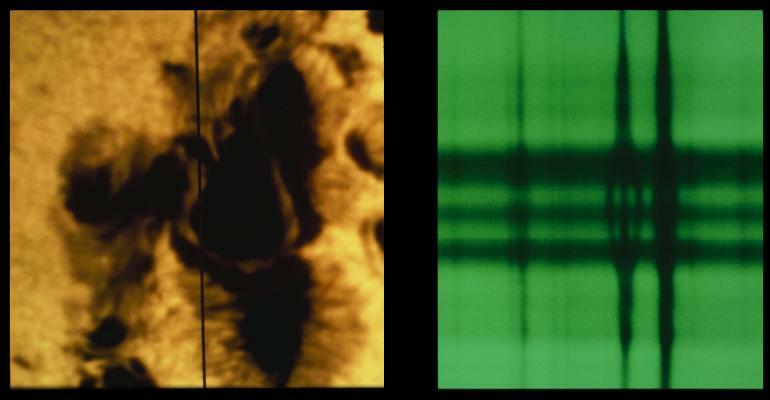 The slit of the spectrograph was placed across a sunspot, and the intense magnetic field in that region causes (some) spectral lines to split into multiplets.